Mason women’s basketball has a lot of potential for the 2018-2019 season. The team was picked to finish eighth in the Atlantic 10 (A-10) preseason poll, despite finishing fourth last season, their best performance since joining the conference ahead of the 2013-2014 season. The prediction didn’t come as a surprise after the departure of A-10 Player of the Year Natalie Butler, who set the NCAA record for most rebounds in a single season and led the conference in rebounding last season. Butler and senior Tayler Dodson combined for 49 percent of the team’s rebounds last year, leaving the question of who will fill this role this season. As the first two games have played out, the question remains unanswered, as no one has recorded more than eight rebounds in a game and all 11 players have grabbed at least one. Junior Jacy Bolton and senior Casey Davis are the only two Patriots to have grabbed double-digit rebounds through the first two games. However, making sure everyone contributes in the rebounding game may be what wins the Patriots games this season, as it has been a highly effective strategy for the team. Last year the team averaged 44.6 rebounds per game, and they have recorded 44 and 41 rebounds in their first two games. Three new faces join the team this season in guard Livija Kaktaite, forward Devyn Wilson and guard Ariana Freeman. Kaktaite and Wilson are both freshmen, while Freeman transferred from the University of Colorado. Kaktaite comes to Mason from Long Island Lutheran, the same school as sophomore Marika Korpinen. However, she brings a unique experience to the team, having played on the Lithuania National Team at both the U16 and U18 levels. In 2015, Kaktaite won gold at the U16 European Championship. While on the U18 team in 2017, she led the Lithuanian Women’s Basketball League with 112 assists. Depending on the number of minutes she plays this season, she may look to fill the role of an occasional contributor, similar to Marika Korpinen. 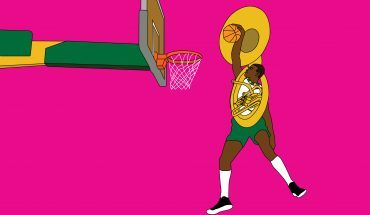 Wilson, a 1,000-point scorer from Norcross High School in Georgia, may not see much playing time on a deep team. During the season opener, she recorded three rebounds in the five minutes she played. Freeman suffered a season-ending injury over the summer, leaving the team with 11 healthy players going forward this season. The team was picked to finish eighth in the preseason poll. However, their guard play could help them continue the success they had last season. It is not a stretch to say that sophomore guard and reigning A-10 Rookie of the Year Nicole Cardaño-Hillary will lead both the Patriots and the conference in scoring. She finished last season third in the conference in scoring, with 17.8 points put on the board per game. There’s room for her to score even more after Butler’s departure, and she has. Over her first two games this season, Cardaño-Hillary averaged 25.5 points per game. If the first game is any indication, this season should also prove to be a big season for another sophomore guard, Korpinen. In the team’s season opener she had a career-high 13 points along with three steals, two blocks and two assists. She followed that up with 8 points that included going 2-3 from beyond the arc, two rebounds, an assist and a steal. All 11 healthy players for the Patriots played in the first two games of the season, with eight players playing for at least 15 minutes in their season opener. Another key for Mason to continue the success of last season is their 3-point shooting, particularly their shot selection. While the team averaged almost six made threes per game, they made less than 30 percent of them. In the first two games, the Patriots have made 11 of their 30 attempts from beyond the arc, shooting at a clip of 36.7 percent. The team allowed just over seven threes per game last season, and in just two games is allowing an average of eight per game this season. It is important to note that 13 of those 16 threes allowed came against the Air Force Academy. Going forward in the season, it’s important that the Patriots can win while allowing more threes than they make. Controlling the number of threes they allow is key, as the team cannot beat 3-point shots with twos. Mason struggled to make their free throws early in the season, going 9-19 in their season opener. The team rebounded in their second game, making 20 of their 33 attempts. If the Patriots can make more free throws per game, it will set them up for success as the season continues. The A-10 looks to be a tough conference again this season after seven teams participated in postseason play last season. For Mason, it was just the program’s third trip to a postseason tournament. 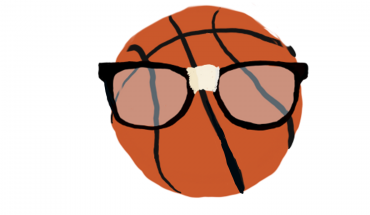 Dayton University received an at-large bid to the NCAA tournament, while George Washington University received an automatic bid after winning the conference tournament as a five seed. 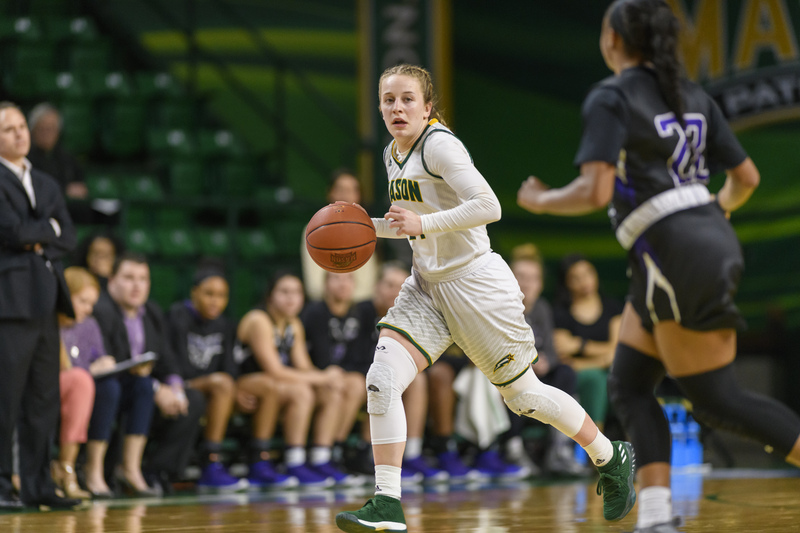 Duquesne University, Fordham University, Saint Joseph’s University and Saint Louis University all joined Mason in the WNIT last season. Dusquene was picked to finish first in the preseason poll, after returning 90 percent of their scoring and rebounding from last season. In addition to senior guard Chassidy Omogrosso, who scored 17.3 points per game last season, including a conference-high 92 3-pointers, and Kadri-Ann Lass, who was the top shot blocker in the conference last year and ranked ninth in the nation, the Dukes are getting back Nina Aho, a redshirt sophomore who sat out last year with an injury. This combination will likely prove to be lethal to many teams once conference play gets underway. Head coach Jen Rizzotti knows how to win, which is good news for George Washington, picked to finish third, tied with Fordham, but bad news for the rest of the A-10. She is entering her third season coaching for the Colonials after spending 17 years at the University of Hartford, where she led the team to the NCAA tournament six times. She also played on the University of Connecticut team that won the National Championship in 1995. The Patriots have their work cut out for them this season, from questions they need to answer to things they can improve on after their first two games playing in a difficult conference. 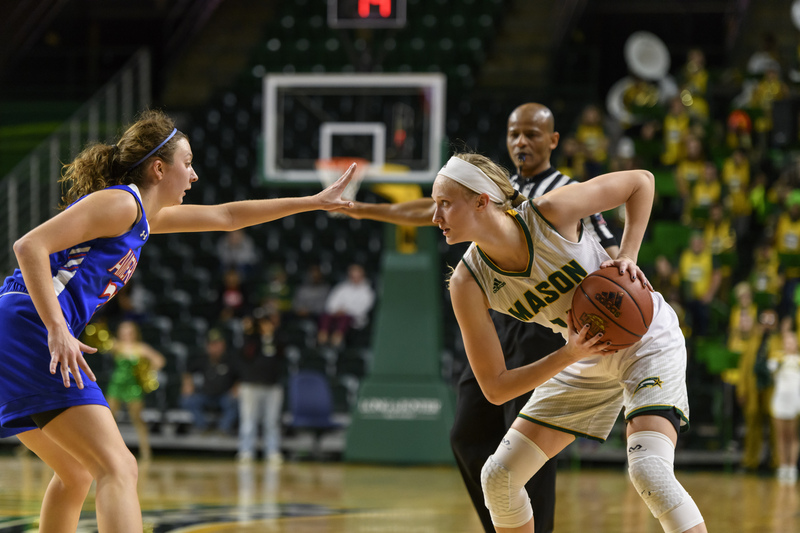 However, aside from a distinct rebounding threat, Mason has all the tools in place they need to make another run into the conference tournament, or even another postseason appearance.